Track Blazers Did It Again! The St. David’s Track Blazers sports club proved that it is a force to be reckoned with over the weekend at the 2014 National Championship games. The 2013 winners reclaimed the championship trophy for another year at the National Stadium last weekend. 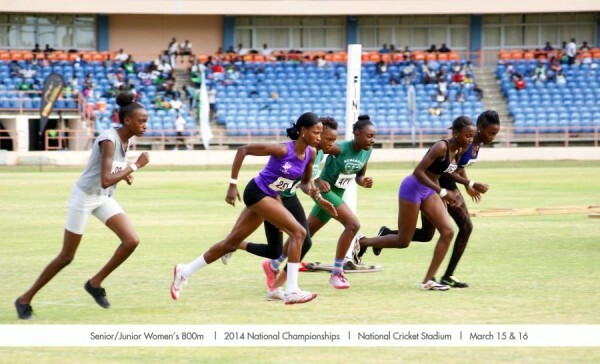 With athletes like Kennisha Pascal topping the individual rankings with 40 points, Nerena Aberdeen and Anderson Peters on 30 points, Theresa Lewis and Dona Lisa Bubb both on 23 points; overall, the team scored 609.50 points. The Track Blazers were followed by the Tanteen Bullets on 535.50 points. St. Andrew’s Anglican Secondary School placed third on 305 points, with St. Joseph’s Convent Grenville occupying the fourth position on 258.50 points. Others teams that participated in the weekend games were: SpeedZone, Mac Donald College, Westerhall Secondary, Beacon Southern Pros, Grenville Secondary School, ACE, St. Joseph’s Convent St. George, Grenada Christian Academy, Boca Secondary School, Presentation Brother’s College, Terminal Velocity Track Club, X-Cel Track Club, X-Ceed Track Club, J.W Fletcher Catholic Secondary School, Happy Hill Secondary School, Thomas Saunders Secondary School, Hillsborough Secondary School. Coordinator of Sports Conrad Francis is pleased with the level of participation and showcase of talent during the event. 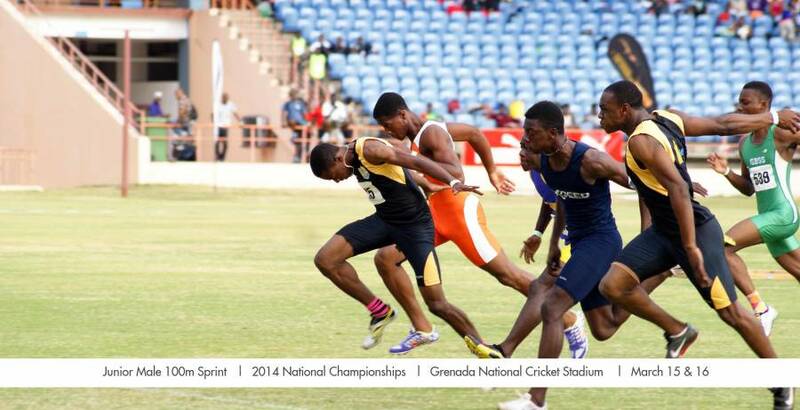 He announced that the selection process of the Grenada team for the 2014 CARIFTA games will soon commence. The Grenada delegation for the CARIFTA games will be chosen based on performance during the National Champs and INTERCOL games in April. The Minister of Youth, Sport and Religious Affairs congratulates the Grenada Athletic Association and all participants in the National Championships 2014 and looks forward with God’s guidance to 2015.